OXFORD, Miss. 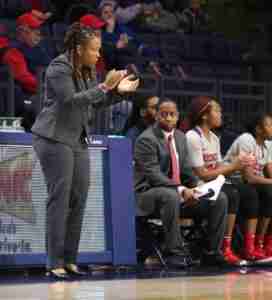 – The Ole Miss women’s basketball team returns home to face Auburn (15-5, 3-4 SEC) tonight in The Pavilion. Before their recent two road losses, the Rebels won two straight conference games and knocked off the Florida Gators in their last game in Oxford. In spite of the loss to No. 6-ranked Mississippi State Sunday, the Ole Miss women’s basketball team is in a good place. Yes, the Rebels are 8-13 overall and 2-5 in the SEC; however that’s not the whole story. There are plenty of reasons to be optimistic if you’re a fan of the red and blue. Head coach Yolett McPhee-McCuin’s team has faced a strong non-conference schedule, playing RPI top-100 teams such as UConn (No. 7), Purdue (No. 27), TCU (No. 59) and Troy (No. 94). And all that being said, the league slate will be as difficult as ever—with 10 conference schools all within the top-100 and four within the top-25. If you look at the games head Coach Yo’s team has played this season, one important thread weaves its way throughout: tremendous effort. Yes, there have been some tough losses, but playing strong teams inevitably brings some of those painful defeats. 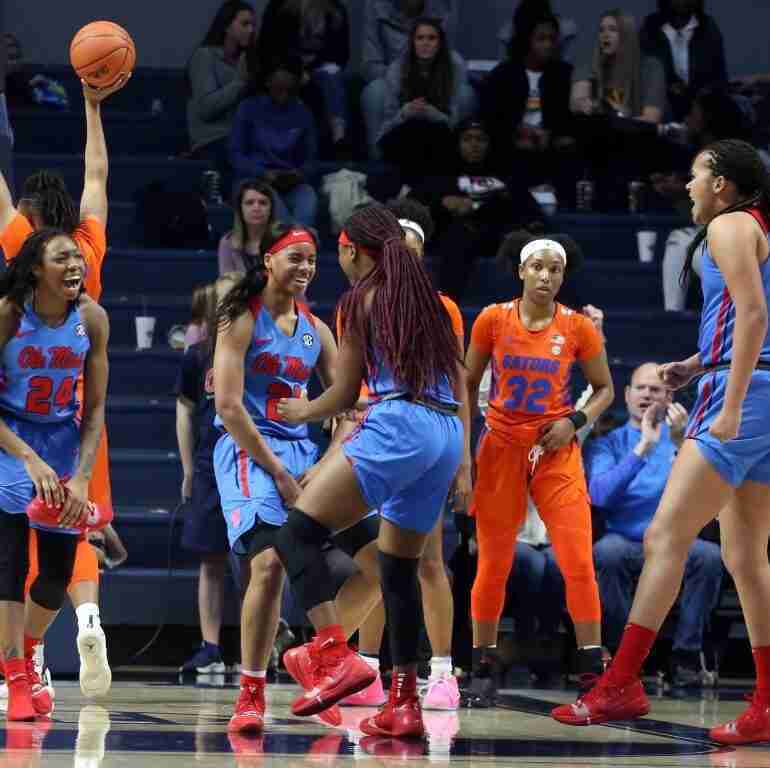 Over the course of the first seven conference games, there have been glimpses into the future of a new Ole Miss women’s basketball program. Rather than looking at the losses, lets focus on the two SEC wins the ladies have been able to pick up thus far. Ole Miss defeated Florida and earned a road win at No. 16 Kentucky. The victory over the Wildcats marks the first win at Kentucky since 2007. While at first glance that may not seem like a huge feat, make no mistake—this program is on the rise. 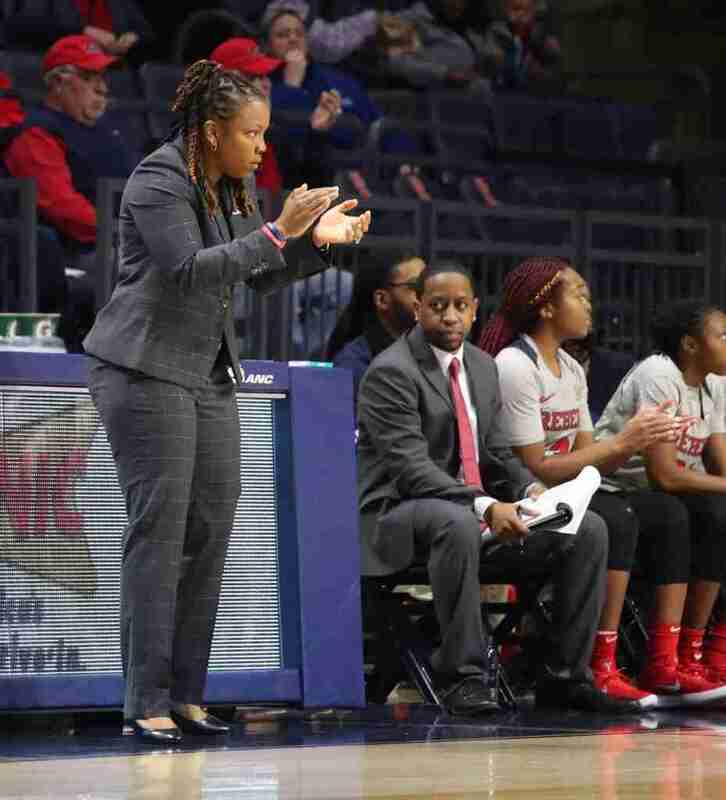 Coach Yo began her Ole Miss coaching career with a shortage of players—and has also had to contend with a smattering of injuries this season—but her team has doubled the number of SEC wins of the previous season. There is no doubt in my mind Coach Yo and her players are building for a better future. They are looking for one win at a time. No more, no less. In this long-haul rebuilding job, Coach Yo knows what she wants, and, more importantly, she knows how to get there. Three Rebels who are helping pave the way are seniors Crystal Allen, La’Karis Salter and Shandricka Sessom. They have been the cornerstones of the Ole Miss offense in SEC play and at least two of them have scored in double-digits in six of Ole Miss’ seven conference games thus far, averaging a combined 37.7 PPG while shooting .354 overall, 91.1 percent from the free throw line, and hitting 33 of the 37 Rebel three-pointers in SEC play. Against Florida, all three ladies were in double-digits as Sessom scored 19, Salter notched a career-high 18 and Allen added 14 — accounting for 67.1 percent of all Rebel scoring in a 76-66 win over the Gators. While the Rebels may not immediately win an SEC tournament championship or notch double-digit conference victories, they are starting to see the pieces fall into place. Another opportunity awaits the Rebels tonight, and this I know: if you come out to support this team (which I promise Coach Yo and the Rebels will appreciate), you will see first-hand the characteristics of a well-coached and prepared team that is growing and getting better each day. The Rebels will be in The Pavilion Thursday to take on Auburn and Sunday to take on Texas A&M. Tipoff against the Tigers on Thursday is scheduled for 7 p.m. (CT), while Sunday’s contest against the Aggies will commence at 2 p.m. (CT). Both contests will be televised on the SEC Network +.